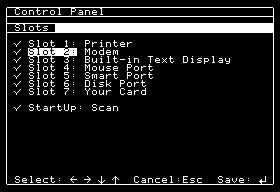 In addition, using the modem port of a Mac LC, it is possible to run ADTPro on a Apple IIe card. 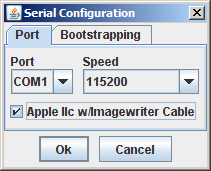 Once you have your computers connected, you may move on to bootstrapping. 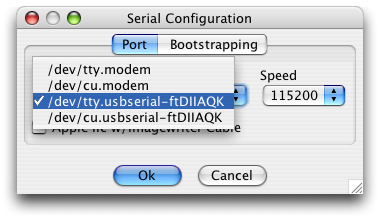 The cable to connect a Super Serial card to your host computer's serial or USB port can either be straight-through or of the null modem variety. 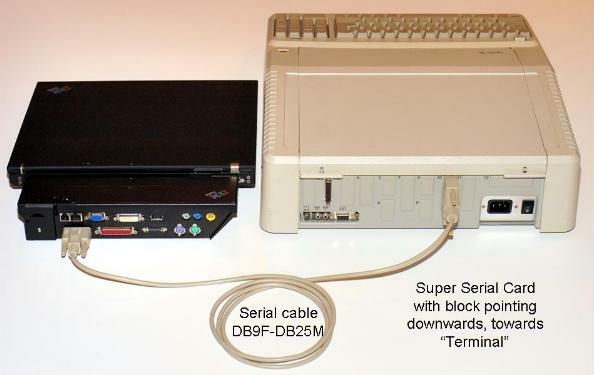 There is a jumper block on the Super Serial card that will take care of signal switching for you if you have one or the other and need to switch. 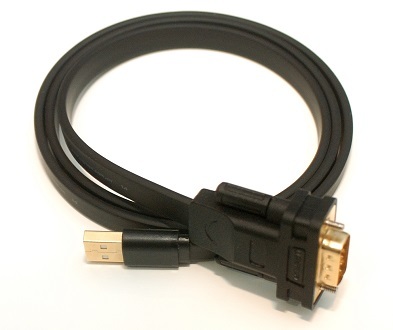 If you would like to purchase a ready-made serial cable, ADTPro-compatible cables are available here. For the IIgs, you will also need to verify a couple of things in the control panel. You bring up the IIgs control panel with the key sequence Control-OpenApple-Escape. 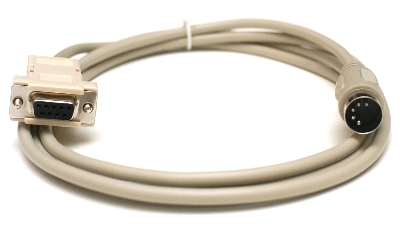 This null modem cable ties all the handshaking lines together at the host end and at the Apple end. This effectively disables hardware handshaking. The Laser 128 and Franklin Ace 500 will not work with the Imagewriter I cable. 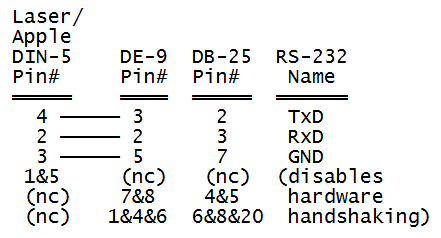 if PRINT PEEK(64447) returns 255, you have an original IIc (ROM revision '255'). 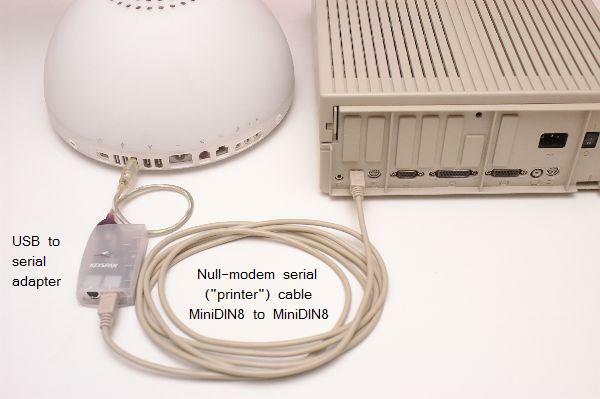 if PRINT PEEK(64447) returns 0, you have an Apple IIc with UniDisk 3.5 inch drive support (ROM revision '0'). if PRINT PEEK(64447) returns 3, you have an Apple IIc with memory expansion support (ROM revision '3'). if PRINT PEEK(64447) returns 4, you have an Apple IIc with a modified/fixed version of memory expansion support (ROM revision '4'). if PRINT PEEK(64447) returns 5, you have an Apple IIc Plus (ROM revision '5'). Several manufacturers make different types of USB to serial adapters. These types of devices will work fine with ADTPro. When you use one, you will also need to install the appropriate device driver that connects your host operating system to the USB adapter. Each manufacturer will include a software driver that will provide the "glue" between the computer and the adapter. 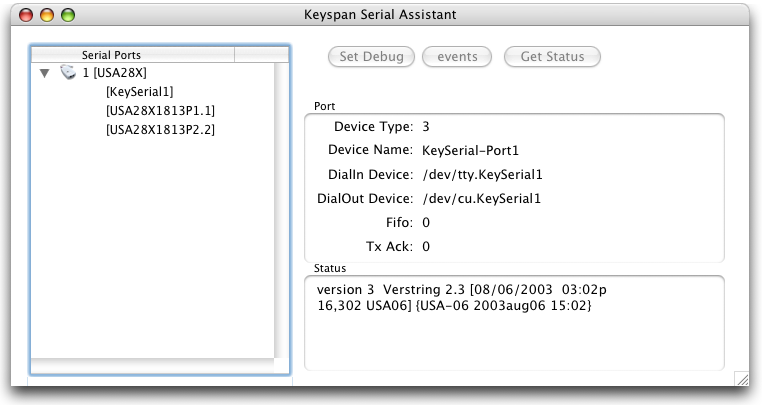 For example, the Keyspan adapters come with a piece of software they call "Keyspan Serial Assistant:"
This software will tell you some details about the serial adapter, the name it chooses to call itself, and so on. 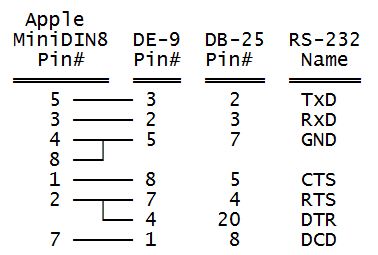 In our case, we can see that the adapter has chosen port names like "KeySerial1," "USA28X1813P1.1," and "USA28X1813P2.2". Since this adapter happens to have two ports on it, you see suffixes of ".1" and ".2." They will correspond to whichever port (on the adapter itself) you are plugging your serial cable into. At the ADTPro server software end, should see those names repeated in the serial configuration dialog box (which comes up with the File->Serial Configuration menu item). 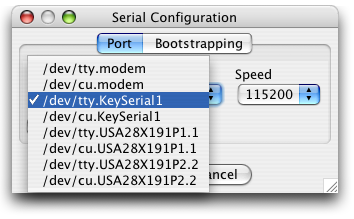 In Keyspan's case, you will see a prefix of "tty" and "cu" added to each port name. ADTPro seems to be able to function normally using either flavor. 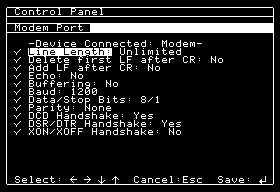 Once connected, ADTPro will be able to operate normally over the USB connection, including bare metal bootstrapping operations.